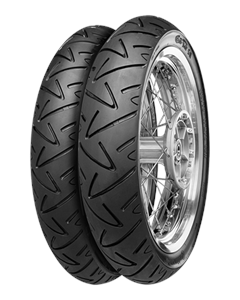 Available in two different compounds for the street or street and track rider. Very light handling and excellent cornering qualities thanks to a unique carcass contour. Especially stable manners in corners and in a straight line thanks to the state-of-the-art carcass material.